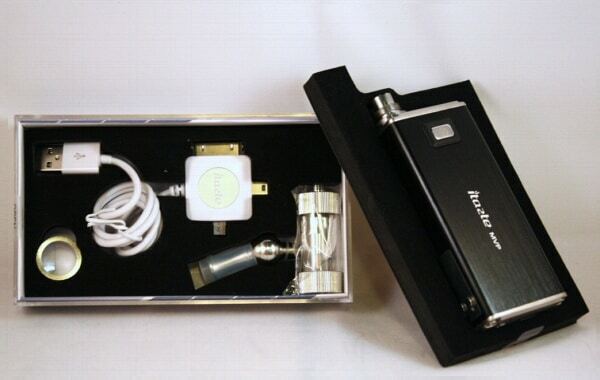 The Innokin iTaste MVP 2.0 is the new and improved version of the popular iTaste MVP from Innokin. Unlike it’s predecessor, it’s not only variable voltage (VV) but it’s also variable wattage (VW), providing an extra level of functionality and versatility to users. Visually, the MPV 2.0 looks almost exactly like the original, sold in black, carbon black, rugged steel and titanium blue. It has the same mirrored LED screen and two button control mounted on the side, although the main activation button has been slightly altered and provides a bit more resistance than the original. Many of the same great features of the original MVP remain unchanged on the 2.0, including the integrated voltage detection (displayed on the built-in LED screen) and battery level indicator lights that are cleverly designed into the activation button, which changes from green, to yellow, to red as the battery begins to weaken. It has the same permanent 2600mAh battery and versatile 4-way charging cable that not only allows you to charge the device, but enables you to charge other devices via the built-in USB port. The Innokin iTaste MVP 2.0 is a classic “box mod,” and despite it’s simple appearance and relatively affordable price point (around $60), it’s rugged and extremely well-engineered. The aluminum casing comes in several attractive finishes and it’s topped off with polished steel caps on both ends. The cartomizer end includes a classic Ego connector with both 510 and Ego threads, while a third set of threads around the base can be used to attach the included MVP connection cone. Not only does the cone give the the device a clean and sleek look, but it can also be used to make minor airflow adjustments by twisting it to modify the airflow openings. Works great with the included iClear clearomizers, but some 510 and Ego-style tanks may have connection problems with the cone installed. 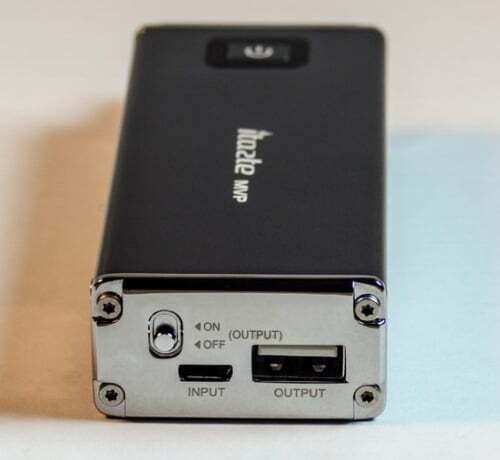 The bottom of the iTaste MVP 2.0 includes two connectors, including a micro USB for charging and a standard USB port for supplying power to external devices. This may seem kind of pointless at first, but the 2600mAh battery will provide a nice boost for charging cell phones in an emergency, an option that I’ve used on multiple occasions. You can attach any USB cable, but if you don’t have the appropriate connector it also includes a multi-connector USB adapter – with USB mini, micro and old-style iPhone connectors. Sorry newer iPhone5 and iPad users, you’re out of luck on this one. The biggest, most obvious improvement for the iTaste MVP 2.0 is the new variable wattage controls, which are a welcome addition for serious vapers looking for increased flexibility. The MVP 2.0 also displays atomizer resistance and includes a puff counter. Rather than complicating things with more buttons, Innokin integrated the new features in with existing two button setup, and although their intentions were admirable, it’s certainly not as simple as the original MVP. While the previous version included basic (+) and (-) buttons to adjust the voltage up or down, the upgraded 2.0 uses a (P) button (for power) to adjust the wattage, and (U) button (for voltage???) to adjust the voltage. Briefly pressing either button will display the puff counter, but if you press and hold the button of your choice down it will switch to either the VW or VV mode. Once you select a mode, repeatedly press the button to adjust the voltage in .1V increments (3.3 to 5 volts) or the watts in .5W increments (6 to 11 watts). Unlike the old MVP you cannot adjust the settings downward, so you’re forced to cycle them up until they reset at the beginning. Press both buttons at the same time and you can cycle between the resistance and the remaining battery voltage. 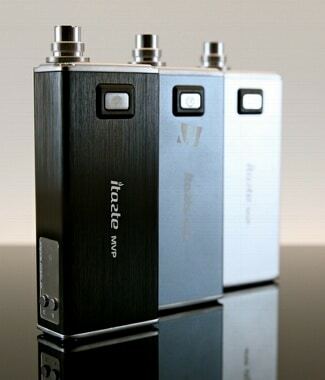 Although it’s tough to complain about the added features, it’s certainly not as user-friendly as the original iTaste MVP. The interface may take some getting used to if you’re a version 1 fan, but it stands to reason that a growing list of functions will make any device more complicated. In this case, it certainly does the job and it’s in the same great package that so many people love. Performance-wise, the Innokin iTaste MVP 2.0 is an excellent VV/VW device that is ideal for nearly every type of vaper. You can attach any 510 or Ego-style accessory, although the iClear clearomizers included with the kit perform exceptionally well. They produce plenty of vapor, and even when you have the double-coil variety attached, the 2600mAh battery provides exceptionally long battery life, easily lasting me two days (or more) with mild to moderate vaping. The Innokin iTaste MVP 2.0 is a high-quality box mod loaded with features and is sure to satisfy even the most seasoned veterans. It’s well-engineered and performs just like you’d expect, although the updated interface is a bit less user-friendly than the original. The ohm meter / resistance checker is a must in my opinion, but the puff counter, which seemed interesting at first, became old real quick. I could have done without this feature, but once I was accustomed to all the controls it was simple and easy to operate, and overall I was pleased with it’s performance. Some people will scoff at the permanent, built-in battery, but personally I like the idea of plugging in the device rather than removing the cells and charging the batteries separately. Considering it only costs about $55 to replace and the Li-Ion cells should easily last several years, it makes a lot of sense to use this as a daily, no-hassle personal vaporizer with VV and VW functions. Not to mention the 2600mAh battery will last for days before it needs a recharge! If you already own the standard iTaste MVP, you may be able to live without the updated features, but if you’re considering a quality, simple-to-use box mod, the MVP 2.0 is certainly a great choice. Vapor DNA offers the iTaste MVP 2.0 for just $55, plus they have several unique finishes, including the Energy Line and Shine Addition for even less. Henley Vape has all the standard colors, and if you apply “HENLEY15” at checkout, it will drop the price from $60 to $51.